Pet Diabetes is a serious condition that requires a cat or dog is assessed by a veterinarian to ensure they receive proper treatment. If you suspect your pet is dealing with diabetes, give a call to Helena Veterinary Service in Helena MT to schedule an appointment for an evaluation. Here is some information on pet diabetes to read so you understand the seriousness of this medical problem as well as how our veterinarian can help in finding your pet a treatment that works at minimizing symptoms. Pets, like humans, can get diabetes if their body is unable to convert sugar into energy. This is a condition that happens when insulin, which is a natural hormone in the body, is not produced or regulated properly. In many instances, a pet is born with diabetes, meaning it needs assistance in getting much-needed insulin into the body. Some pets, however, can get diabetes later in life. This is usually due to a decrease of insulin product due to the aging process, a change in weight, or the switching of the pet's normal dietary needs. Knowing the symptoms of Pet Diabetes will help you get your pet to a veterinarian when necessary. If your cat or dog is struggling with this medical condition, they tend to drink a lot of water. This is because excess sugar in your pet's bloodstream is eliminated from the body along large amounts of moisture, which will then be dispersed with your pet's urine output. The need to replenish the moisture causes additional water-drinking and urination. In addition, your pet may experience weight loss, a decreased appetite, cloudiness in the eyes, and recurring infections. Insulin is necessary for a pet's body to handle the way it distributes sugar. This can be remedied in a pet with diabetes by giving the dog or cat insulin shots. This can be done in the comfort of our veterinarian's office at pre-determined time intervals. 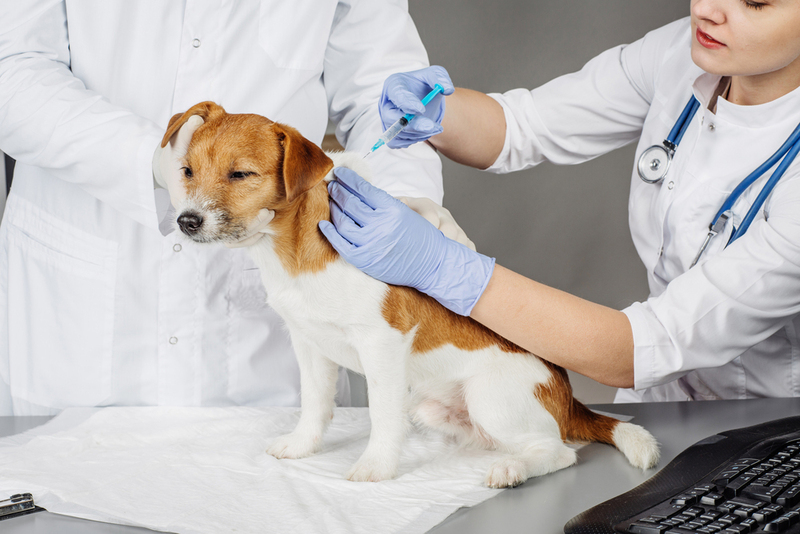 If you would rather administer insulin to your pet on your own, our vet will provide a prescription for the shots and will teach you how to use them. You will also be informed about dietary restrictions and exercise needs for your pet to regain strength. In many cases, if a pet has diabetes and the condition is assessed in early stages, it becomes manageable. If you believe your dog or cat has Pet Diabetes, make an appointment at Helena Veterinary Service in Helena MT to meet with our veterinarian. Call us today at (406) 442-6450 to inquire about availability.